Parenting - Pregnancy Assistance Inc. Perth WA Pregnancy Assistance Inc.
No matter how prepared (or unprepared) you currently feel for the journey of parenthood it is important to remember that you are of worth. You have qualities and skills that are unique only to you, and with the right attitude and dedication you can indeed be the parent you hope to be. 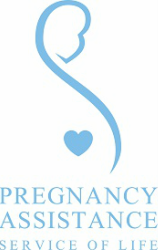 We would be happy to support you during your road to parenthood and provide assistance in any way we can. We also work with other agencies to support you. If you would like to explore and talk about what parenting might mean for you, please call us on 9328 2929. It may be helpful prior to any appointment with us to identify what your needs are, practically, emotionally and financially.